Our long-lasting, all natural hoofers are perfect for your super chewer! 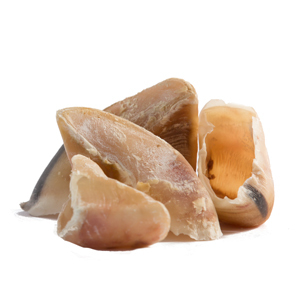 With no additives or coloring, these are cleaned and dried for your pet and loaded with calcium and phosphorous. They are also a fantastic natural teeth cleaner and jaw strengthener!